These photos remind me of the good old days of blogging where I would stand in my room in front of my tripod snapping away. Nowadays, most of the time I’ll drag Jamie out for location shots! What do you prefer? 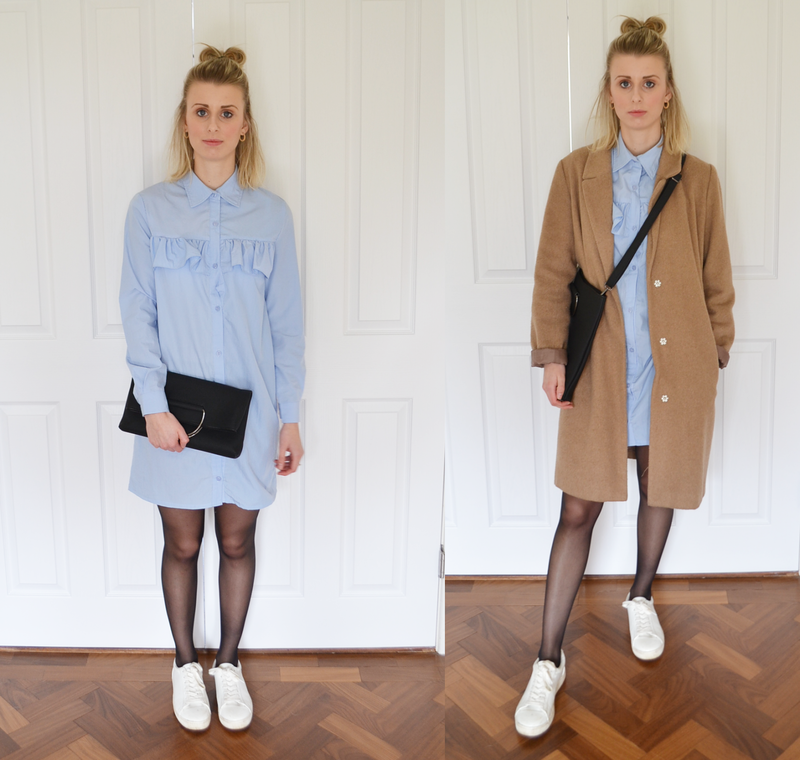 Indoor outfit shots or out and about on locations? I am in looove with this cute little shirt dress I got from asos last week – it’s a bit different for me but I’m eager to try some new things in terms of my style this year. It’s super easy to wear and I love the dressed down look with my (not so) white trainers. Also, how handy is this bag kindly gifted from KoKo Couture?! It can be an across the body bag, or a handy little clutch. I can see it being the perfect travelling bag when you’re going to be out and about in the day and night. Did you know KoKo Couture are available in over 40 UK Topshop stores too? Definitely going to be on the hunt for another handbag from them soon!